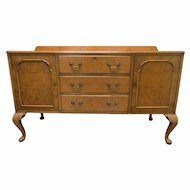 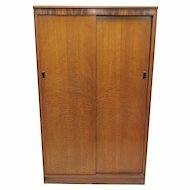 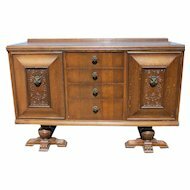 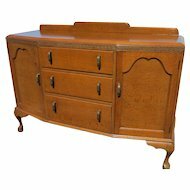 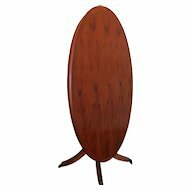 This is a beautiful mid-century mahogany sideboard or buffet made by Greaves & Thomas in Great Britain. 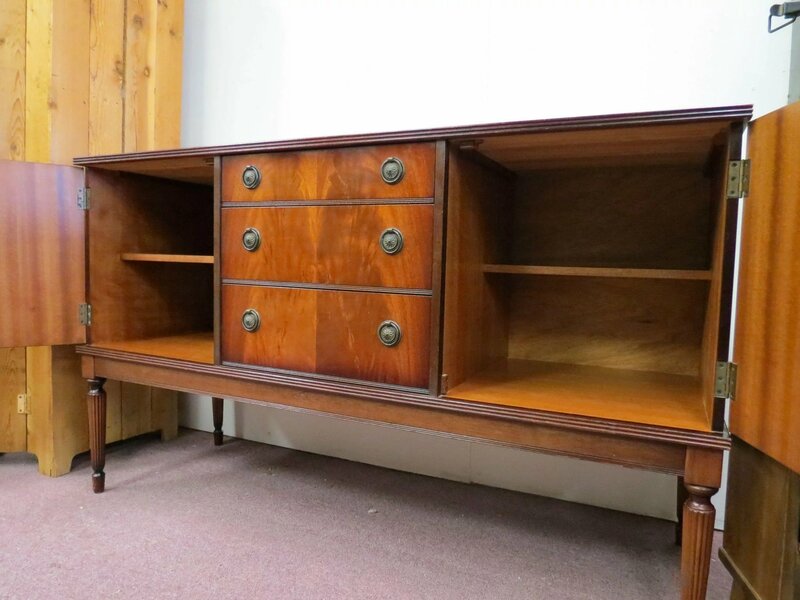 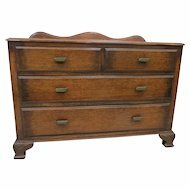 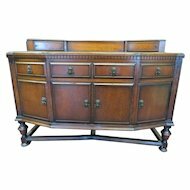 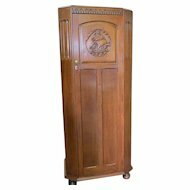 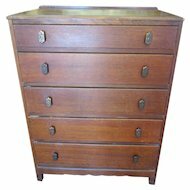 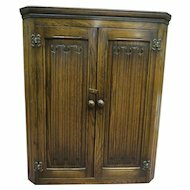 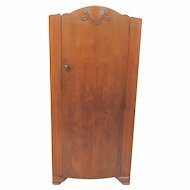 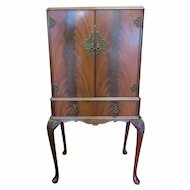 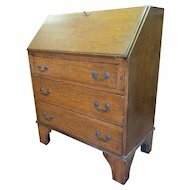 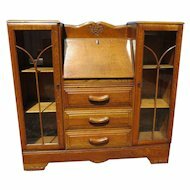 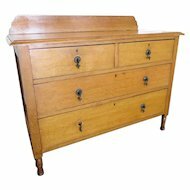 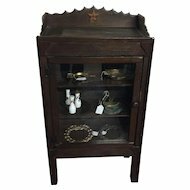 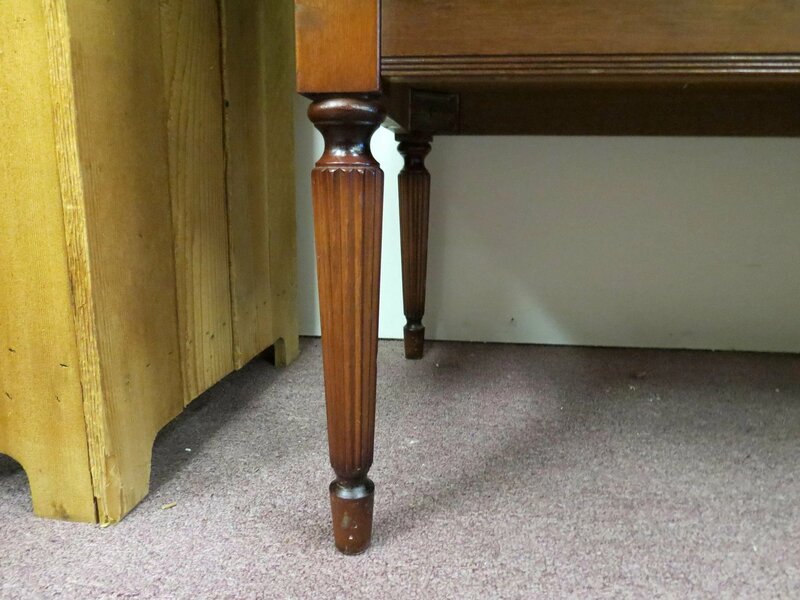 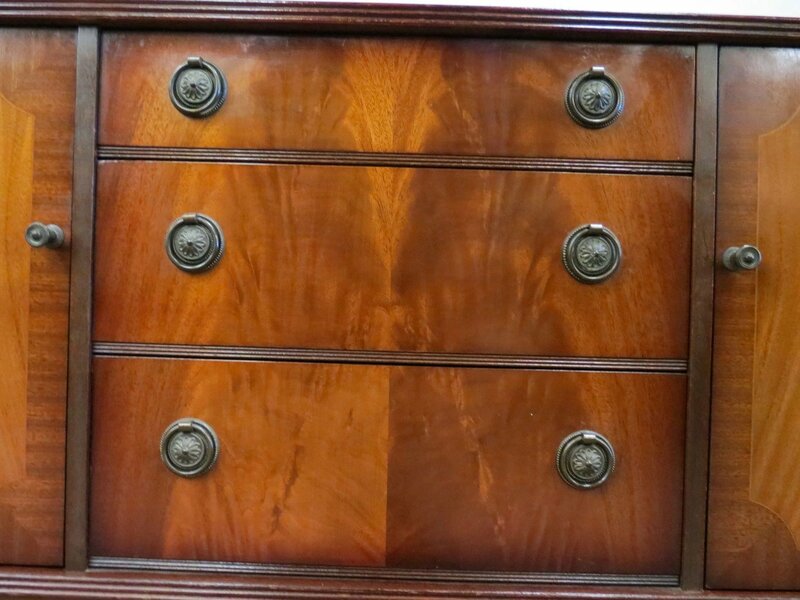 This wonderful piece of English furniture has two cabinets and three drawers. 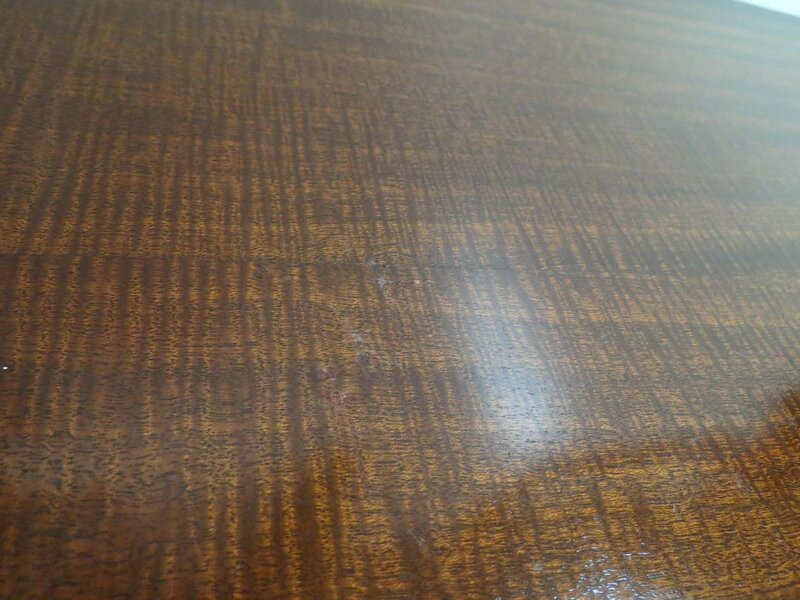 It has very nice hardware and is in excellent condition with very light scratches on the surface. 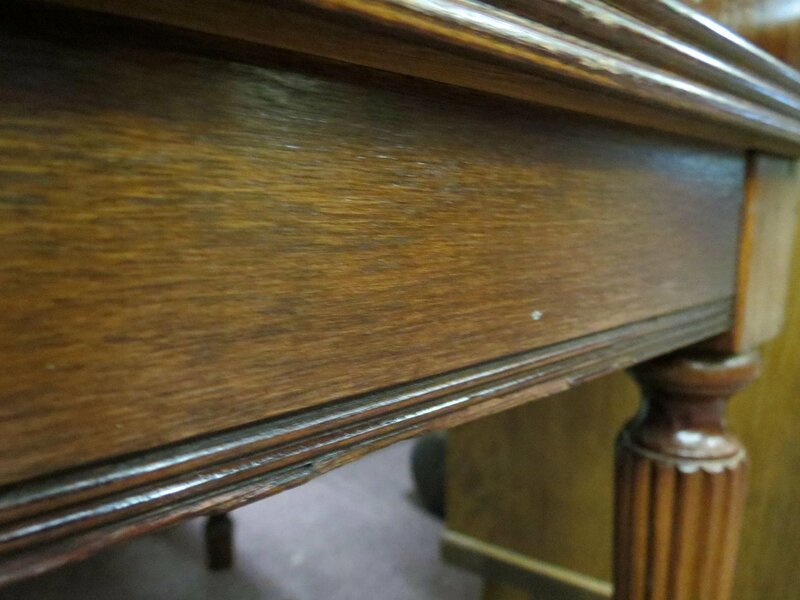 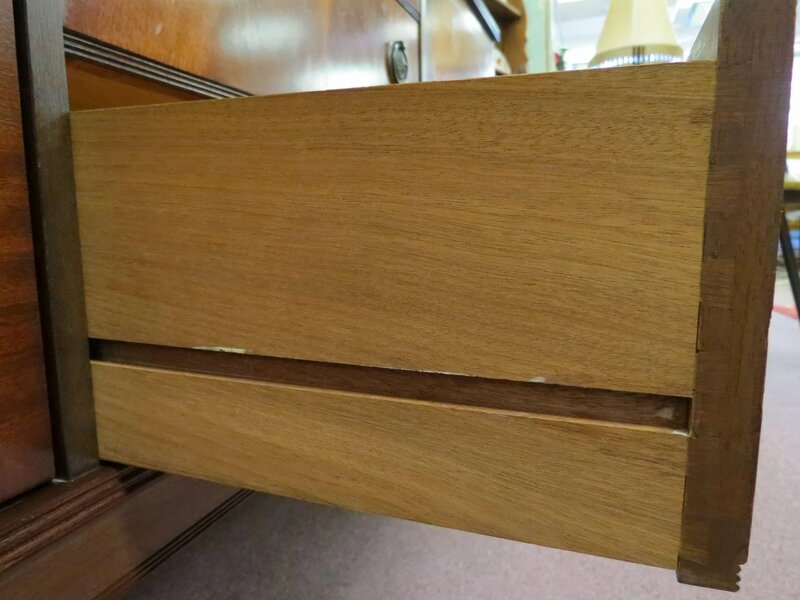 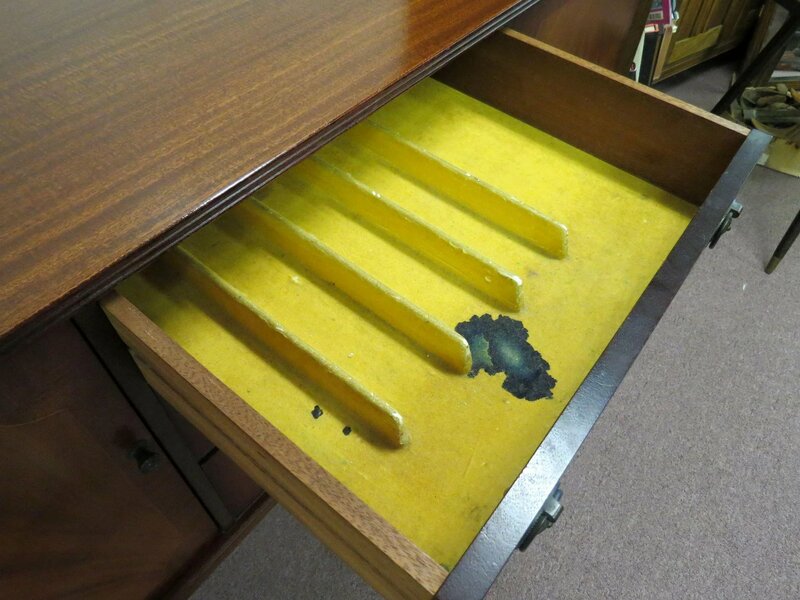 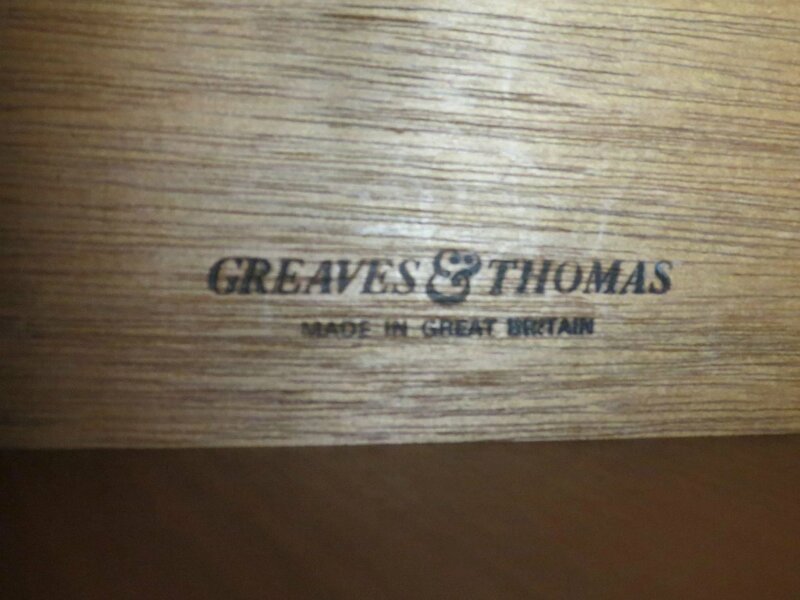 The felt lining in the top drawer is stained and worn. 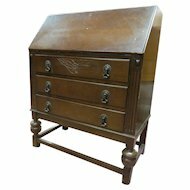 See the picture for details. 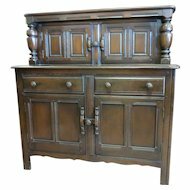 The buffet is 54" wide, 19" deep and 32" tall.